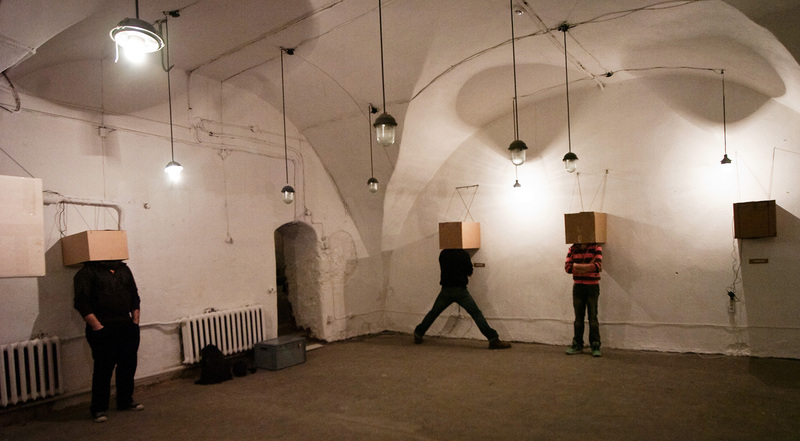 In 2010, I gave a sound Masterclass at New Media department of the Estonian Academy of Arts. 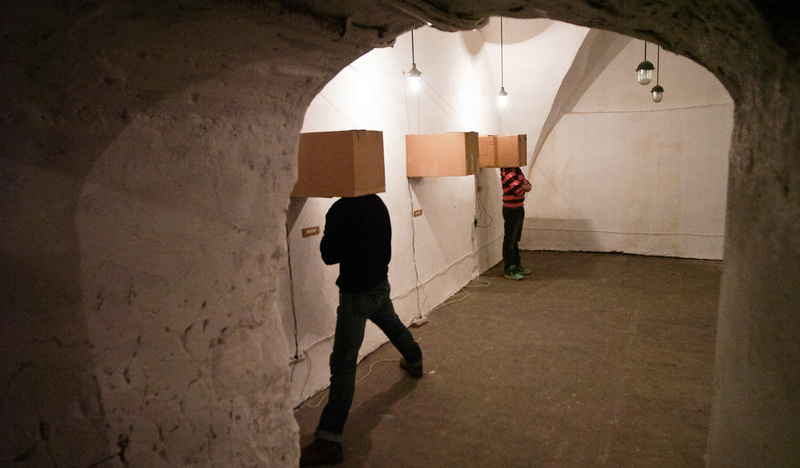 Every student realized a 'miniature sound installation' inside a cardboard box, using a mp3-Player and a small affordable pair of speakers, plus a visual element if they liked to. 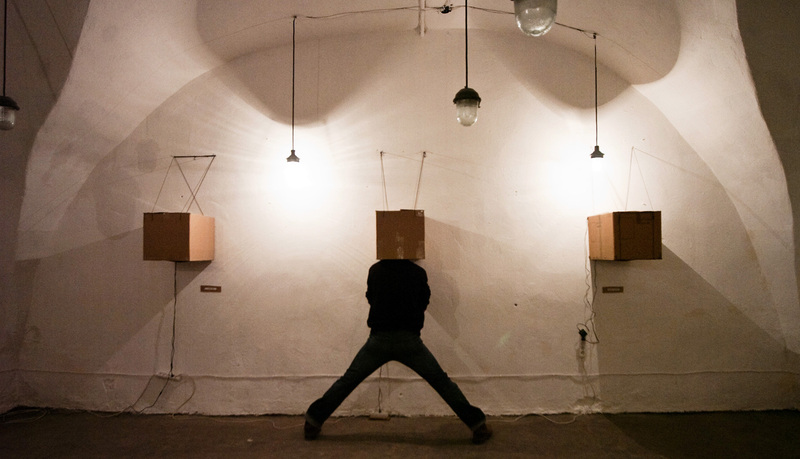 For the exhibition, these boxes where fixed to the wall in a height that allowed for visitors to put their head in the individual boxes, so that they could hear the individual pieces without distraction or disturbance from the outside.